As we close out the year, we’d love to thank our clients, employees and friends. To end the year, we were announced as a leading web design company in California and we are so excited about this news! 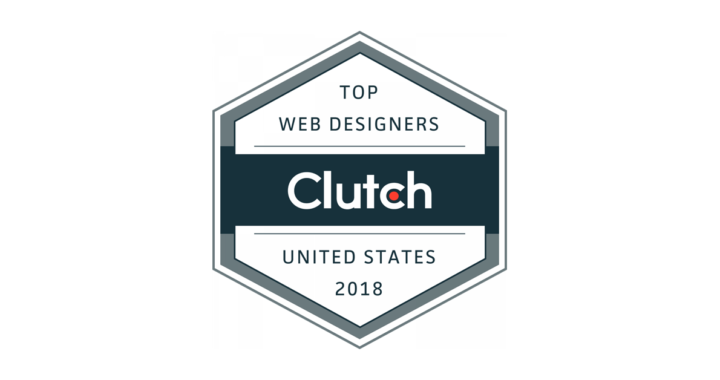 We’re ranking (highly) on Clutch’s website for the digital marketing and web design work we do. The reviews we collect on Clutch impact our ranking on their platform and these review look great on our profile. Many of these reviews have upwards of 500+ words that talk about how we help our clients, communicate and innovate. We’re so happy that our reviews have got us named as a top branding and design company in California, for our work in San Diego. We also recently were named on Clutch’s sister website, The Manifest, as a top digital marketing company in San Diego. We look forward to see what 2019 brings to the table for ourselves and our reputation on Clutch and their sister platforms. Speaking of Clutch’s new ventures, there team just launched Visual Objects, where they display web designers based on their portfolio items and alongside their Clutch reviews. We’re excited to have them build out a San Diego page soon so we can be included!